Questacon – The National Science and Technology Centre in Canberra is a Division of the Commonwealth Department of Industry, Innovation and Science. Questacon is famous for hands-on experiences and for making science accessible. 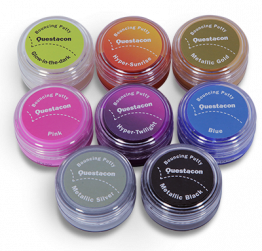 The Q Shop is known for providing a wide range of products that customers can take home to extend their experimenting and learning. We stock a wide range of science, educational and novelty products. Our range has been developed to appeal to all ages and levels of interest. All of our products have been trialled and tested to ensure they meet our high standards of quality. Our range changes regularly, we take pride in our ability to source products that are unique. We source our products from local and international suppliers. We are always looking for weird and wonderful products from around the world to complement our range and satisfy our customer’s interests. We are confident you will find something that amazes, brings a smile to your face, encourages creative thinking and problem solving or just leaves you feeling good. Sign up to our Q Shop newsletter to be notified of new products, promotions and events.